Large, very slim and elegant dabbling duck. Long neck and tail obvious in flight with more pointed wings than other dabbling ducks. Male unmistakable white neck and underparts, grey upperparts contrasting with dark head and tail and dark slender bill. 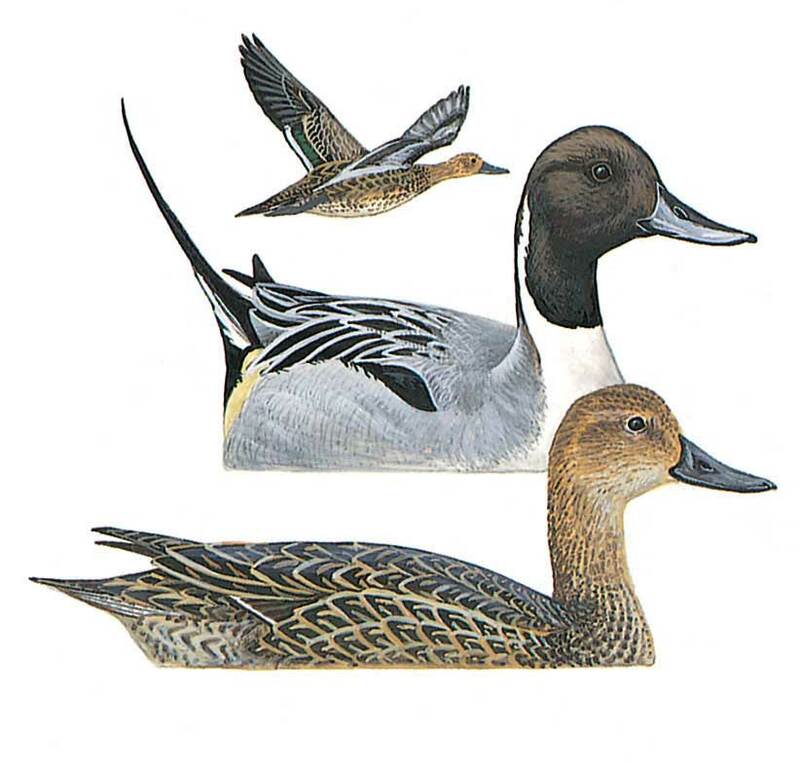 Female similar similar to other female dabbling ducks, but note dark bill, greyer plumage and much slimmer appearance.